Speaking of Minutemen, I wouldn't last 60 seconds by this fire! 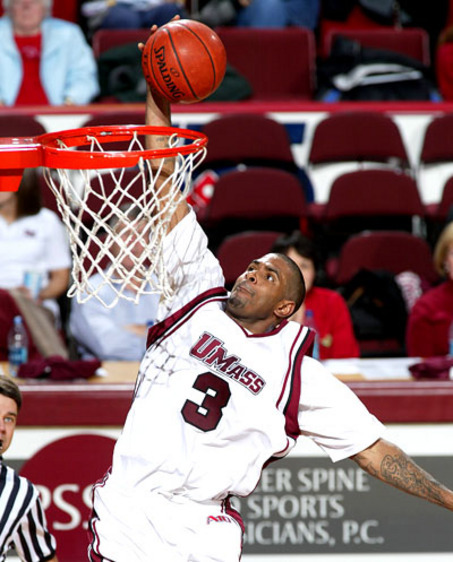 Top to bottom, UMASS's line-up looks solid! Baron & Monta are the second best pair I've seen lately! Just like the Kings, everybody's more comfortable at home! ...cause I think I've found their mascot! This page contains a single article from March 13, 2008 11:06 AM. The next days article was Home of Greg Gamble's Gratuitous Photos to make-up for his Lousy ATS Picks of late.